At its regularly scheduled August 23, 2018 meeting, the Littleton Public Schools Board of Education, in a 5-0 vote, approved the Long Range Planning Committee’s recommendation to begin to replace the district's aged facilities with new ones, to renovate the newly acquired facility across the street from Littleton High School (formerly Schomp Automotive) with a new district Career and Technical Education and Innovation Center and to make important safety, security and instructional space changes to all other schools. The Board also approved language for the November 2018 ballot, Issue 4A, which will ask local voters to pass a $298 million bond to fund the Long Range Planning Committee’s recommendation. Littleton Public Schools is at a crucial point in its history: the legacy left by past generations has been well cared for, but with current funding levels it is aging beyond the district’s ability to maintain the level of excellence LPS students and community members expect and deserve. The Long Range Planning Committee recognizes the district will need to replace a school every three years to maintain an average age of 62 years moving forward. Also, instructional delivery methods are changing, becoming more hands-on, flexible, self-driven and diverse. 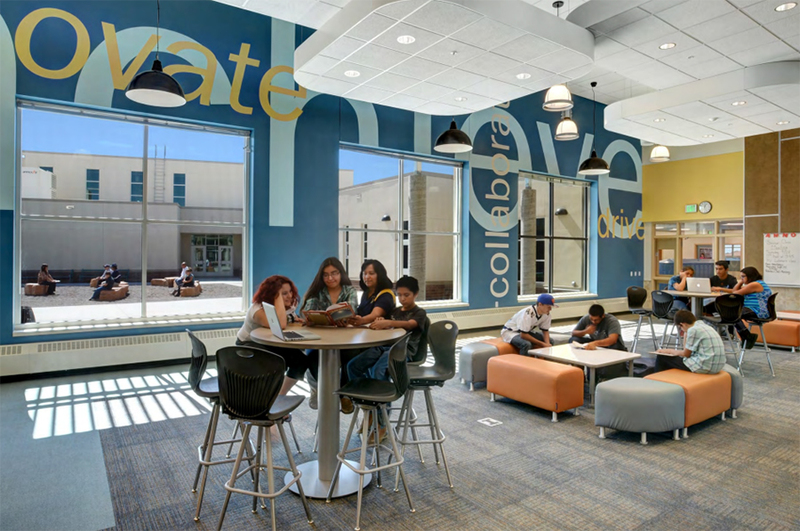 Modern, inclusive instruction requires spaces that are designed to meet students’ diverse learning needs. Today’s most efficient and effective elementary schools with the best programming for students serve about 600 students. LPS needs to have the ability to replace failing structures when they are no longer structurally sound, cannot be made accessible to people with disabilities and do not meet the requirements for today’s learning environment. LPS needs to make a strategic first step to maintain quality education that makes future steps clear. LRPC members noted that in 10 years, a future citizens committee could build upon this recommendation and identify the next schools to be replaced with new buildings, based on this work and what makes sense for the community at that time. Build new schools on campuses that can accommodate the new construction while school is in session in order to mitigate transportation and overcrowding in other elementary schools. Includes new playing fields and parking to serve the school, the neighborhood and the Junior Stadium. Current Highland Elementary School available to serve LPS in multiple ways. Possibilities include, but are not limited to, an early childhood education center, career-technical education offerings and Meals on Wheels, all of which are currently located in the Ames Facility. Highland may also be available as a "transition" location while other schools are replaced in the future. Will provide college-level courses and career-focused learning for more students. Will engage and support more non-traditional learners as they prepare for highly skilled careers in a rapidly changing job market. Programs might include (but are not limited to): automotive, aviation, computer coding, construction, drones and robotics technology, electrical, healthcare, plumbing, welding and fabrication. CTE programs such as these would use the same technology as is used in these industries today. The central location is ideal for students from Littleton, Heritage, Arapahoe and Options to access throughout the school day. Some furniture in our schools is as old as the schools are (1960s and 1970s) and is well beyond its useful life. Every LPS student and staff member in every LPS school will benefit from furniture replacement. Bring schools into compliance with the Americans with Disabilities Act (ADA) where possible. The recommendation not only provides for new schools to serve district students and the community with brand new, efficient facilities, but it also alleviates some of the issues the district is faced with in terms of attendance boundaries and transportation efficiencies. Didn’t we just approve a $80 million bond for our schools a few years ago? Thanks to local voters, the LPS community passed an $80 million bond in 2013, which did not raise taxes but rather extended the current tax rate at that time. The $80 million was used to maintain and repair the district’s aging facilities and to improve safety and security. Why is this bond for so much more? Unlike the previous bond election, which was passed to address critical student safety and structural needs without increasing the tax rate, this bond includes the construction of three brand new schools serving four attendance areas as well as new student and classroom furniture for every school and important maintenance for all other schools. For the first time since 1981, new schools will be constructed. In addition, it is important to continue to maintain all of the other schools until it is possible to also replace them. Why do we need to pass a bond now? District facilities are an average age of 58 years and are reaching their end of life. LPS paid an outside firm to conduct a study on compliance with the Americans with Disabilities Act. This study, which was presented to the Long Range Planning Committee last year, shows noncompliance districtwide. Many other school districts in the Denver metro area and across the country regularly replace schools to keep up with the changing needs of its students and the communities they serve. LPS has never replaced a school, as the district has carefully maintained them over the decades. (While the remodel of Runyon Elementary was extensive, it was not a complete replacement.) However, most schools are no longer conducive to today’s learning environment, will never meet ADA requirements and cannot be remodeled further in order to meet the community’s expectations for safety and security. Why were these schools chosen to be replaced first? The Long Range Planning Committee stressed that its recommendation was a logical first step to maintain the quality education the LPS community expects and deserves for its children. Because new schools can be built on the Newton and Franklin campuses while school is in session, this is a logical place to start. 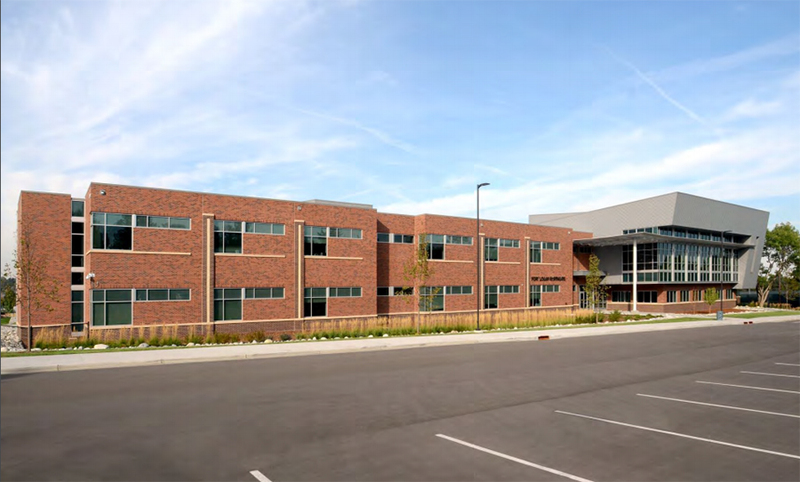 Additionally, opening an elementary school on the Ames campus provides natural solutions to some transportation challenges while providing “right sized” schools for the Ames and Highland/Franklin neighborhoods. 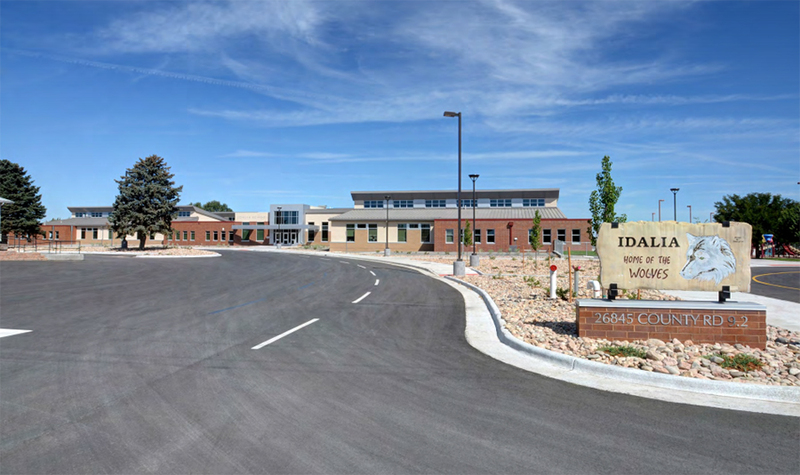 After Highland students and staff move into their new school, the current Highland Elementary School will be available as a transition location when other schools are rebuilt in the years to come. The Long Range Planning Committee stressed that all LPS schools must be replaced with new schools eventually because they are reaching their end of life. In fact, LPS must replace a school every three years to keep the average age of its facilities at 62 years. Will my taxes be affected? LPS serves portions of Littleton, Centennial, Columbine Valley, Bow Mar, Greenwood Village and Englewood. If part of your property taxes go toward Littleton Public Schools, that portion of your taxes will increase. If not, then the LPS bond will not affect your property taxes. How much will my taxes go up if this passes? Passage of a $298M bond in LPS would cost homeowners $29-$49 annually for every $100,000 of residential actual value. For example, a home with residential actual value of $400,000 would see a property tax increase of $116-$196 annually. Why aren’t our schools in compliance with The Americans with Disabilities Act? The ADA was enacted in 1990, almost a decade after LPS’ newest school was built. LPS has done its best to stay in compliance where it is possible. But, because our schools were built before the ADA was enacted, some simply cannot be renovated to be ADA compliant. How will the bond money be spent? 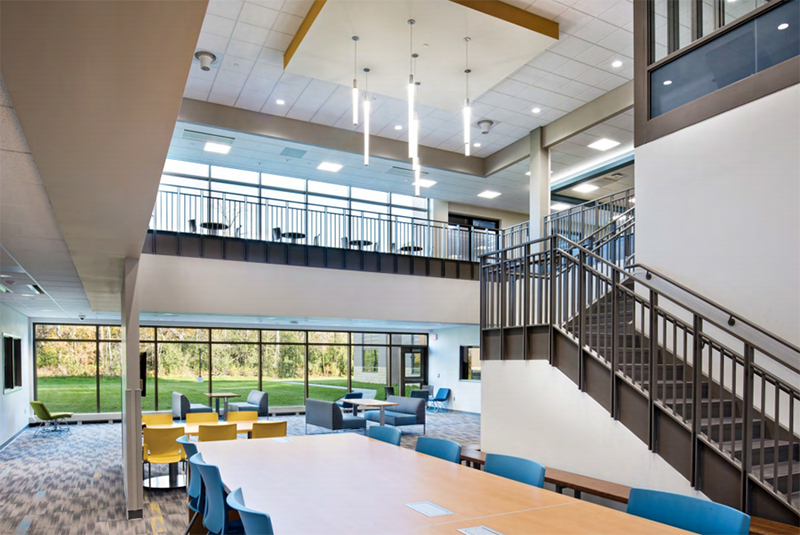 The largest projects include the Career and Technical Education Center, two new elementary schools, a new middle school and new furniture for all schools. The rest of the projects include improvements to safety, security, technology infrastructure, lighting, kitchens, junior stadium, HVAC and playgrounds and fields across the district according to need. Can’t you use marijuana tax money instead of raising property taxes? It is a misperception that most of the marijuana tax revenue goes to K-12 education. The majority of funds go to the Marijuana Tax Cash Fund for healthcare, health education, substance abuse and treatment programs and law enforcement. Through a Colorado Department of Education Health Professional Grant, LPS gets enough money to fund two positions, and these grant funds are limited to three years. 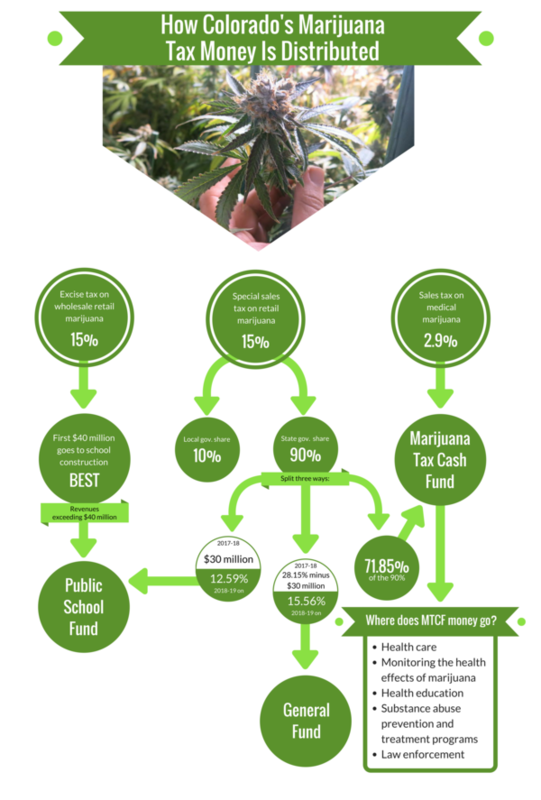 Click here to view a marijuana tax distribution chart. How is it possible to have school while another school is being built on the same campus? This is the way many school replacements are done across the nation. Prior to any mobilization and construction activities, a comprehensive safety plan must be created that addresses all safety issues. This would be developed through a collaborative effort by the contractor with the district’s operations, maintenance and construction staff; the program manager; and the school’s appointed staff. Do we need another stadium? Yes. The number of sports and activities for boys and girls, both school sponsored and in the community, has outgrown the district’s capacity and puts LPS at risk of being in violation of Title IX laws. The LPS Stadium is currently shared by all three high schools and is used by Littleton High School for PE class and band, as well as numerous youth sports leagues in the community. The constant, year-round wear and tear of the track and field at the LPS Stadium makes it nearly impossible to maintain for student safety. A new junior stadium on the Newton campus would provide an additional lighted field and track with spectator seating for both school and community sports teams to use. What will the newly acquired Schomp Automotive property across the street from Littleton High School be used for? The LPS Board of Education purchased this property to be renovated and turned into a new Career and Technical Education and Innovation Center. Here, students will have greater access to programs that better prepare them for life after high school. It would offer valuable, hands-on learning experiences for students who plan to enter the workforce after graduation; enable more students to get on the path to earning an industry certification or two-year associate’s degree; and better prepare students who plan to pursue undergraduate and advanced degrees in a CTE field. In many cases, this programming would facilitate pathways that could help to reduce the cost of a traditional four-year college education for students and their families. Programs could include, but are not limited to: automotive, aviation, computer coding, construction, drones and robotics technology, electrical, healthcare, plumbing, welding and fabrication. CTE programs such as these would use the same technology as is used in these industries today. The central location is ideal for students from Littleton, Heritage, Arapahoe and Options to access throughout the school day. Programming for middle school and elementary school students may also be available. How will LPS ensure that the bond money is being spent according to the plan? As in previous local elections, the LPS Board of Education will appoint an oversight committee of residents to oversee the expenditure of bond funds throughout the process. This committee will report back to the Board of Education periodically, and the report will also be included in the district's independent audit report and published on the district website. What is the difference between the statewide ballot initiative (Amendment 73) and the LPS bond initiative? The LPS bond initiative is a property tax increase that will be decided by local voters. It will raise $298 million for capital projects, such as the construction of new schools, the continued repair and upkeep of others, the renovation of the former Schomp Automotive property into a Career and Technical Education and Innovation Center and new furniture across the district. Amendment 73 is a statewide income tax affecting the top 8% of income earners in Colorado. It will raise $1.6 billion annually for K-12 education statewide, bringing Colorado closer to the national average in school funding. LPS' share of those funds is $23.1 million annually. Funds will be spent on recurring needs such as additional staff in schools to better meet the safety, academic and mental health needs of students; new programming and additional staff for the Career and Technical Education Center; and free full-day kindergarten districtwide. In LPS, both initiatives work together to provide funding that will address student needs. LPS taxpayers will have the opportunity to vote on both initiatives. AND SHALL THE MILL LEVY BE INCREASED IN ANY YEAR WITHOUT LIMITATION AS TO RATE AND AMOUNT SUFFICIENT TO PAY THE PRINCIPAL OF, PREMIUM, IF ANY, AND INTEREST ON SUCH DEBT OR ANY REFUNDING DEBT (OR TO CREATE A RESERVE FOR SUCH PAYMENT) PROVIDED THAT ANY REVENUE PRODUCED BY SUCH MILL LEVY SHALL NOT EXCEED $29,992,100 ANNUALLY; SHALL SUCH DEBT TO BE EVIDENCED BY THE ISSUANCE OF GENERAL OBLIGATION BONDS TO BE SOLD IN ONE SERIES OR MORE, FOR A PRICE ABOVE OR BELOW THE PRINCIPAL AMOUNT OF SUCH SERIES, ON TERMS AND CONDITIONS AND WITH SUCH MATURITIES AS PERMITTED BY LAW, INCLUDING PROVISIONS FOR REDEMPTION OF THE BONDS PRIOR TO MATURITY WITH OR WITHOUT PAYMENT OF THE PREMIUM OF NOT TO EXCEED THREE PERCENT; AND SHALL THE DISTRICT’S DEBT LIMIT BE INCREASED FROM AN AMOUNT EQUAL TO 20% OF THE DISTRICT’S ASSESSED VALUE TO AN AMOUNT EQUAL TO 6% OF THE DISTRICT’S ACTUAL VALUE, AS CERTIFIED BY THE ARAPAHOE COUNTY ASSESSOR; AND SHALL SUCH TAX REVENUES AND THE EARNINGS FROM THE INVESTMENT OF SUCH BOND PROCEEDS AND TAX REVENUES BE COLLECTED, RETAINED AND SPENT AS A VOTER APPROVED REVENUE CHANGE UNDER ARTICLE X, SECTION 20 OF THE COLORADO CONSTITUTION OR ANY OTHER LAW? * This number is a good faith estimate only and assumes the passage of Amendment 73, which will be considered by the voters of the State on November 6, 2018, and is based on information and projections received by the District from other sources. * Excluded from debt are enterprise and annual appropriation obligations. A yes vote on 4A is an investment not only in our excellent school system, but also in our community. Our schools are aging, are not accessible, are not meeting our community’s safety expectations and are no longer meeting the instructional needs of our students. Therefore, we need to continue to invest in our schools’ infrastructure. Decades ago, the Littleton Public Schools (LPS) community built schools for its children and created a legacy of excellence that is still being realized today. Our schools, built between 1949 and 1981, also serve as community gathering and recreation spaces for all. This legacy has served us well and has made possible an outstanding education for generations of LPS students. Through this support, LPS has earned Colorado’s highest academic rating, Accredited With Distinction, all 8 years it has been awarded. That is more than any other Denver metro area school district. Our community’s reputation as a great place to live and raise a family is founded on the excellence of our schools. Today, LPS is at a crucial point in its history. The legacy of excellence left by past generations has been well cared for, but with current funding levels it is aging beyond the district’s ability to keep up. Some challenges are too big to overcome. The facility needs for today’s learning have changed. Our schools will never meet Americans with Disabilities Act (ADA) accessibility requirements. They cannot be remodeled further in order to meet the community’s expectations for safety and security. The current average age of LPS schools is 58 years. A Long Range Planning Committee, made up of local community members with and without school-age children, completed an 18-month-long study and ultimately recommended to the school board a bond package that would begin to replace a school every three years to maintain an average age of 62 years moving forward. This bond also includes funding to improve the learning environment for every student in every school, and create a career and technical education/innovation center to meet the changing needs of our graduates. Regardless of their next steps -- continuing on to college, serving in the military or entering the workforce -- our graduates need complex skills like creativity, critical thinking and entrepreneurship to be successful. The bond specifies a residents’ oversight committee to ensure the goals outlined for this program are reviewed and confirmed. The financials will be included in the district financial audit performed by independent accountants. This will help ensure we continue to have high-performing schools for our children that attract the best teachers and protect our community’s investments in its schools. We need to invest in our local schools to continue the legacy of excellence for generations to come. Quality schools increase our property values, protecting our biggest financial investment - our homes. Vote YES on 4A for Our Community. Littleton can be justifiably proud of their excellent schools. This bond election is not about furthering academic achievement. The citizens in the Littleton Public School (LPS) District have never turned down a bond issue. They have never had a reason to, until now. The idea that the district needs to tear down our schools and build new ones because the buildings have an average age of 60 years is ridiculous. But that is the purpose of this bond issue. According to bond information from LPS dated 8/2/2018, the plan is to issue new bonds and rebuild 3 schools every 10 years. The bond repayment will be front loaded so enough of the bond will be paid off 10 years from now that LPS can go for another bond issue without raising taxes. The ballot language states LPS can impose whatever mill levy is needed to collect $29.9 million a year for the repayment. The maximum repayment cost will be $598 million. When added to the repayment cost of $208 million for existing outstanding bonds, LPS plans on a total bonded debt load of more than three quarters of a billion dollars. The problem with this whole plan is it is impossible for LPS to achieve its goals. If LPS rebuilds 3 schools every 10 years it will never get to the point of having schools less than 60 years old - LPS has more than 20 schools. The LPS community has always highly valued education, and rightly so. These are our children and this is our community. But there is a difference between valuing education and blindly throwing money at problems that don’t exist. Tearing down schools just because they reach a certain age makes no more sense than tearing down any building just because it is 60 years old. Especially if those buildings have been well maintained and updated their whole lives - as LPS facilities have. Vote no on this bond issue and save your money for real needs. Let’s be strategic and spend our money where it is really needed, instead of on wasteful, blanket replacement of all LPS schools. Amendment 73 increases funding for P-12 public education by raising the individual income tax rate for some individuals, increasing the corporate income tax rate, and setting new assessment rates for property taxes levied by school districts. This analysis describes current funding for public education, how the measure increases school funding, and how the measure changes Colorado’s income and property tax systems. budget stabilization factor, which was adopted in 2010 as a budget-balancing tool and applies an equal percentage reduction in formula funding across all school districts. After the factors were applied, final per pupil amounts ranged from $7,236 to $16,247 across all school districts in budget year 2017-18. Once the funding is distributed to districts, each locally elected school board determines how to spend the revenue in its own district. Formula funding sources. Formula funding is provided by state and local sources. The state pays for the portion of the formula that school districts are unable to fund with their local revenue. Of the $6.6 billion distributed through the formula in budget year 2017-18, the state share was $4.1 billion and the local share was $2.5 billion. The state share is funded by income taxes, sales taxes, and other state revenues, while the local share is funded through local property taxes and vehicle ownership taxes. Other funding sources. In addition to funding set by the formula, districts receive additional state assistance for specific programs, known as "categoricals." Categoricals include special education, English language learning, gifted and talented and vocational programs, and transportation and totaled $297.6 million in budget year 2017-18. Additional sources of revenue for education include federal funding, district-assessed fees, competitive state grants for specific purposes, and state capital construction programs, among other sources. In many school districts, voters have approved property tax revenue above the amount authorized through the school finance formula. These additional property taxes are called "mill levy overrides," and are used for specific local education needs. As of 2018, voters in 121 out of 178 districts have approved mill levy overrides. For those districts, the additional per pupil funding ranges from $32 to $5,024 per student. the recruitment and retention of teachers. Until a new act is adopted, the additional revenue generated by the measure must be spent as shown in Table 1. Of the $1.6 billion in new revenue generated in the first year of implementation (budget year 2019-20), $866 million must be spent on specific funding criteria. The remaining $738.6 million must also be spent on public education, as determined by the state legislature. Fully Fund Kindergarten Districts receive approximately half of the per-student funding for each kindergarten student. Districts receive full per-student funding for each kindergarten student. Low-income Students Districts receive funding based on the number of students whose families earn below a certain income level. Relaxes the income requirements for students to be considered low-income for funding purposes. *Money generated in budget year 2018-19 and future years is also required to be spent on public education. Income taxes. Amendment 73 increases income tax rates to provide additional revenue for public education. Colorado’s current individual and corporate income tax rate is a flat 4.63 percent. Beginning in 2019, the measure creates a graduated individual income tax rate for taxable income above $150,000, and increases the corporate tax rate from 4.63 percent to 6.0 percent. The measure is expected to generate $1.6 billion in budget year 2019-20, the first year of implementation, to be spent on public education. This revenue is exempt from constitutional spending limits. Individual income tax. Table 2 shows the change in individual income tax rates under the measure and the percentage of filers in each tax bracket. The income tax increase will impact 8.2 percent of individual and joint income tax filers. For joint filers, the income tax tiers shown in Table 2 apply to the joint filers’ combined taxable income. The graduated income tax rate also applies to estates, trusts, and businesses that file individually. The change in income tax rates is expected to increase state revenue by an estimated $1.4 billion in budget year 2019-20. *These taxable income tiers apply to single, head of household, and joint filers. Those with taxable income equal to or less than $150,000 will not experience an income tax increase under the measure. The impact of the graduated tax increase on taxpayers with higher earnings will differ based on a taxpayer’s taxable income. For example, a taxpayer with taxable income equal to $250,000 would be taxed at 4.63 percent for the first $150,000 in income. The subsequent $50,000 would be taxed at a rate of 5.0 percent, and the final $50,000 would be taxed at a rate of 6.0 percent. Table 3 shows examples of average annual increases in individual income tax liability under the measure. * These examples apply to single, head of household, and joint filers. **Actual tax liability may vary based on state income tax credits. Corporate income tax. The measure increases the corporate income tax rate from 4.63 percent to 6.0 percent. In contrast to the measure’s individual tax rate changes, the increase in the corporate income tax rate is not a graduated tax rate and applies to all corporate taxpayers. The change is expected to generate $229.4 million in budget year 2019-20. On average, each corporate income taxpayer with an income tax liability is expected to pay an additional $14,139 per year under the measure. Property taxes. Property taxes are paid on a portion of a property’s value, determined by an assessment rate. Under current law, the assessment rate for most nonresidential property is set at 29 percent, and the rate for residential property is determined by the state legislature based on a formula in the state constitution. Over time, the residential assessment rate has declined from 21 percent in 1983 to the current rate of 7.2 percent. Based on the most recent projection published by Legislative Council Staff, the rate is expected to fall to approximately 6.1 percent for 2019 and 2020. The actual rate will be determined during the 2019 legislative session. Changes to property taxes under Amendment 73. For school district property taxes only, beginning in 2019, Amendment 73 reduces the nonresidential assessment rate from 29 percent to 24 percent, thereby reducing taxes for nonresidential property. The measure reduces the current residential assessment rate from 7.2 percent to 7.0 percent, and sets it at this lower rate, keeping it from falling further. Relative to a projected 6.1 percent residential assessment rate, the rate under the measure will result in a tax increase for residential property taxpayers. The measure does not impact the assessment rates for mines and lands producing oil and gas. Taxpayer impacts. As explained above, the measure is expected to decrease school district property taxes for most nonresidential property taxpayers, and increase school district property taxes for residential property taxpayers above what would be paid in 2019 without the measure. The impact on property owners will vary significantly based on several factors, including the school finance formula mill levy rate for the local school district, the actual value of the property, the 2019 residential assessment rate without the measure, and whether and what type of mill levy overrides have been approved by the voters in the school district. For information about the projected impacts on taxpayers in a particular school district, please visit http://www.coloradobluebook.com/amendment73map. School finance impacts. In 2019, the measure is projected to decrease school district property tax revenue by $62.4 million, reflecting a decrease in nonresidential property tax revenue of $317.8 million, partially off-set by an increase in residential property tax revenue of $255.3 million. This decrease in school district revenue in 2019 could be replaced by state funding, which could come from the additional income tax revenue generated by the measure, depending on decisions made by the state legislature. In future years, local property tax revenue for school districts will only be impacted by changes in property values and mill levy rates, not by a changing residential assessment rate. Amendment 73 requires the Colorado Department of Education, within five years of the measure’s implementation, to review how the additional revenue is spent and identify best practices for promoting continuous student achievement. In addition, the state legislature, within ten years of the implementation of the new school finance formula, is required to review the formula and make any necessary adjustments. 1) The state needs a sustainable source of revenue to adequately and equitably fund public education. Colorado cut P-12 public education funding as a result of the Great Recession, and funding levels have not recovered relative to what the formula would otherwise require, even though Colorado has one of the healthiest economies in the nation. Since the 2010-11 budget year, the budget stabilization factor has cut education funding by a total of $7.2 billion. As a result, school districts have had to make difficult choices, such as limiting teacher salaries, increasing class sizes, limiting mental health and counseling services for students, and narrowing course offerings. Further, approximately half of Colorado school districts are currently operating on four-day weeks. The measure alleviates the impact of these historical cuts by providing a dedicated income tax increase to fund public education. 2) The measure provides property tax relief for business property owners, farmers, and ranchers who have paid an increasingly higher proportion of property taxes compared to residential property owners. Since 1983, the nonresidential assessment rate has been set at 29 percent, while the residential assessment rate has fallen from 21 percent to the current 7.2 percent. The measure lessens these inequities between residential and nonresidential property owners by both stabilizing the residential assessment rate and lowering the nonresidential assessment rate for school district property taxes. 3) One of the government’s most important functions is to provide children with a high-quality public education. Local school districts will prioritize how to spend the new revenue in ways that best fit their community, such as recruiting and retaining highly qualified teachers, improving access to early childhood education programs, strengthening science and math, vocational, and literacy programs, and providing a safe learning environment for all students. These are key investments in a successful public education system, which could help ensure a strong Colorado economy that is capable of competing in today’s global market. 4) Constitutional constraints have suppressed local property tax revenue in many areas and led to greater pressure on the state general operating budget to meet required education funding levels. Stabilizing the local share of required school formula funding and creating a dedicated source of state revenue for education provide additional flexibility for the state to use more of its general operating budget on other core programs, such as transportation, public safety, and health care. 1) The measure imposes a tax increase without any guarantee of increased academic achievement. A focus on educational reform and opportunity rather than new revenue is more likely to improve student outcomes. Policymakers should find efficiencies within the current system and reprioritize existing revenue in order to meet current education funding requirements. Since the 2012-13 budget year, total formula funding has increased by between 1.3 percent and 7.4 percent annually, and just this year, the state share of school formula funding increased by $425.6 million without a tax increase. 2) Increasing the state income tax rate could negatively impact the state’s economy. Individuals will have less money to spend, save, and invest, and businesses will have less money to invest in their workers. Many businesses report their earnings through individual income tax returns and would pay the higher income tax rates under the measure. Colorado may also have a harder time attracting or retaining workers and businesses, as the top income tax rate under the measure would be 8.25 percent, the ninth highest state income tax rate in the country. This puts Colorado at a competitive disadvantage compared to other states. 3) The measure increases the property tax burden on homeowners, providing a tax cut for businesses at the expense of homeowners. In addition, it complicates an already complicated property tax system. By creating one assessed value for school districts and another assessed value for all other local taxing entities, the measure will lead to confusion among taxpayers and further complicate tax administration for state and local governments. 4) The measure does not require the state legislature to adjust the income tax thresholds to account for inflation. As a result, over time, more taxpayers could end up in the higher tax brackets as their incomes are adjusted for inflation, resulting in additional revenue that must be spent only on education. To the extent that more revenue is raised than is needed to sufficiently fund education, the state will not be able to use this money to address other critical needs such as transportation and health care. Finally, the additional revenue generated by the measure is exempt from the state’s constitutional spending limit, thereby removing an important protection for taxpayers. State revenue. The measure increases state revenue by $750.9 million in budget year 2018-19 (half-year impact) and $1.6 billion in budget year 2019-20. This amount is from individual income taxes and corporate income taxes. This revenue is exempt from constitutional spending limits and must be used for educational purposes identified in the measure. State expenditures. The measure increases state expenditures by $174,933 in budget year 2018-19 for administrative costs. In budget year 2019-20, the measure increases expenditures for education by $1.6 billion. Revenue generated in other years must also be spent on education. School district impact. The measure increases school district revenue by a minimum of $866 million and up to a net $1.5 billion in budget year 2019-20, the first full fiscal year the measure is implemented. The minimum spending represents the funding requirements specified in the measure; the maximum increase is the result of the $1.6 billion in new state revenue in budget year 2019-20, and a $62.4 million decrease in revenue from property taxes. Local government impact. The measure increases costs for county assessors and treasurers offices to update computer and data systems related to the changes in assessment rates. Specific costs will vary among counties. for the first full year of the proposed tax increase, estimates of the maximum dollar amount of the tax increase and of state fiscal year spending without the increase. "Fiscal year spending" is a legal term in the Colorado constitution. It equals the amount of revenue subject to the constitutional spending limit that the state or a district is permitted to keep and either spend or save for a single year. Table 4 shows state fiscal year spending for the current year and each of the past four years. FY = fiscal year. The state's fiscal (or budget) year runs from July through June. Table 5 shows the revenue expected from the income tax increase for FY 2019-20, the first full fiscal year for which the tax increase would be in place, and an estimate of state fiscal year spending without the tax increase. The ballot title below is a summary drafted by the professional staff of the offices of the secretary of state, the attorney general, and the legal staff for the general assembly for ballot purposes only. The ballot title will not appear in the Colorado constitution or Colorado Revised Statutes. The text of the measure that will appear in the Colorado constitution and Colorado Revised Statutes below was drafted by the proponents of the initiative. The initiated measure is included on the ballot as a proposed change to current law because the proponents gathered the required amount of petition signatures. SHALL STATE TAXES BE INCREASED $1,600,000,000 ANNUALLY BY AN AMENDMENT TO THE COLORADO CONSTITUTION AND A CHANGE TO THE COLORADO REVISED STATUTES CONCERNING FUNDING RELATING TO PRESCHOOL THROUGH HIGH SCHOOL PUBLIC EDUCATION, AND, IN CONNECTION THEREWITH, CREATING AN EXCEPTION TO THE SINGLE RATE STATE INCOME TAX FOR REVENUE THAT IS DEDICATED TO THE FUNDING OF PUBLIC SCHOOLS; INCREASING INCOME TAX RATES INCREMENTALLY FOR INDIVIDUALS, TRUSTS, AND ESTATES USING FOUR TAX BRACKETS STARTING AT .37% FOR INCOME ABOVE $150,000 AND INCREASING TO 3.62% FOR INCOME ABOVE $500,000; INCREASING THE CORPORATE INCOME TAX RATE BY 1.37%; FOR PURPOSES OF SCHOOL DISTRICT PROPERTY TAXES, REDUCING THE CURRENT RESIDENTIAL ASSESSMENT RATE OF 7.2% TO 7.0% AND THE CURRENT NONRESIDENTIAL ASSESSMENT RATE OF 29%TO 24%; REQUIRING THE REVENUE FROM THE INCOME TAX INCREASES TO BE DEPOSITED IN A DEDICATED PUBLIC EDUCATION FUND AND ALLOWING THE REVENUE COLLECTED TO BE RETAINED AND SPENT AS VOTER-APPROVED REVENUE CHANGES; REQUIRING THE LEGISLATURE TO ANNUALLY APPROPRIATE MONEY FROM THE FUND TO SCHOOL DISTRICTS TO SUPPORT EARLY CHILDHOOD THROUGH HIGH SCHOOL PUBLIC EDUCATIONAL PROGRAMS ON AN EQUITABLE BASIS THROUGHOUT THE STATE WITHOUT DECREASING GENERAL FUND APPROPRIATIONS; DIRECTING THE LEGISLATURE TO ENACT, REGULARLY REVIEW, AND REVISE WHEN NECESSARY, A NEW PUBLIC SCHOOL FINANCE LAW THAT MEETS SPECIFIED CRITERIA; UNTIL THE LEGISLATURE HAS ENACTED A NEW PUBLIC SCHOOL FINANCE LAW, REQUIRING THE MONEY IN THE FUND TO BE ANNUALLY APPROPRIATED FOR SPECIFIED EDUCATION PROGRAMS AND PURPOSES; REQUIRING THE MONEY IN THE FUND TO BE USED TO SUPPORT ONLY PUBLIC SCHOOLS; REQUIRING GENERAL FUND APPROPRIATIONS FOR LIC EDUCATION TO INCREASE BY INFLATION, UP TO 5%, ANNUALLY; AND REQUIRING THE DEPARTMENT OF EDUCATION TO COMMISSION A STUDY OF THE USE OF THE MONEY IN THE FUND WITHIN FIVE YEARS? Section 17. Education – Funding. (4.5) Quality Public Education Fund Created. (a) THIS SUBSECTION SHALL BE KNOWN AND CITED AS THE "QUALITY PUBLIC EDUCATION FUND AMENDMENT OF 2018". THE PURPOSE OF THIS SECTION IS TO CREATE A MORE SUSTAINABLE, FAIR, AND ADEQUATE SYSTEM FOR FINANCING PUBLIC SCHOOLS THAT IS DESIGNED TO MEET THE NEEDS OF EVERY STUDENT IN THE STATE OF COLORADO TO PREPARE THEM FOR SUCCESS IN CAREER, COLLEGE, AND LIFE. (b) THERE IS HEREBY CREATED IN THE DEPARTMENT OF THE TREASURY THE QUALITY PUBLIC EDUCATION FUND. THE QUALITY PUBLIC EDUCATION FUND SHALL RECEIVE ALL REVENUES COLLECTED THROUGH AN INCOME TAX INCREMENT FOR PUBLIC SCHOOL FUNDING APPROVED BY THE VOTERS AT THE 2018 GENERAL ELECTION. ALL INTEREST EARNED ON MONEYS IN THE QUALITY PUBLIC EDUCATION FUND SHALL BE DEPOSITED IN THE QUALITY PUBLIC EDUCATION FUND AND SHALL BE USED BEFORE ANY PRINCIPAL IS DEPLETED. MONEYS REMAINING IN THE QUALITY PUBLIC EDUCATION FUND AT THE END OF ANY FISCAL YEAR SHALL REMAIN IN THE FUND AND NOT REVERT TO THE GENERAL FUND, THE STATE EDUCATION FUND, OR TO ANY OTHER CASH FUND. (c) IN STATE FISCAL YEAR 2019-2020, AND EACH FISCAL YEAR THEREAFTER, THE GENERAL ASSEMBLY SHALL ANNUALLY APPROPRIATE, AND SCHOOL DISTRICTS MAY ANNUALLY EXPEND, MONEYS FROM THE QUALITY PUBLIC EDUCATION FUND FOR SUCH PURPOSES AS SHALL BE SPECIFIED BY LAW TO IMPROVE, SUPPORT AND ENHANCE THE QUALITY OF PRE-PRIMARY, PRIMARY, AND SECONDARY PUBLIC SCHOOL EDUCATIONAL PROGRAMS, RESOURCES, AND OPPORTUNITIES ON AN EQUITABLE BASIS FOR THE BENEFIT OF STUDENTS THROUGHOUT THE STATE. (d) MONEYS APPROPRIATED FROM THE QUALITY PUBLIC EDUCATION FUND SHALL BE USED TO SUPPLEMENT, AND NOT SUPPLANT, THE LEVEL OF FISCAL YEAR GENERAL FUND APPROPRIATIONS FOR PUBLIC EDUCATION FUNDING EXISTING ON THE EFFECTIVE DATE OF THIS SUBSECTION. (1)(b)(I) Residential real property, which shall include all residential dwelling units and the land, as defined by law, on which such units are located, and mobile home parks, but shall not include hotels and motels, shall be valued for assessment at twenty-one percent of its actual value. For the property tax year commencing January 1, 1985, the general assembly shall determine the percentage of the aggregate statewide valuation for assessment which is attributable to residential real property. For each subsequent year, the general assembly shall again determine the percentage of the aggregate statewide valuation for assessment which is attributable to each class of taxable property, after adding in the increased valuation for assessment attributable to new construction and to increased volume of mineral and oil and gas production. For each year in which there is a change in the level of value used in determining actual value, the general assembly shall adjust the ratio of valuation for assessment for residential real property which is set forth in this paragraph (b) as is necessary to insure that the percentage of the aggregate statewide valuation for assessment which is attributable to residential real property shall remain the same as it was in the year immediately preceding the year in which such change occurs. Such adjusted ratio shall be the ratio of valuation for assessment for residential real property for those years for which such new level of value is used. In determining the adjustment to be made in the ratio of valuation for assessment for residential real property, the aggregate statewide valuation for assessment that is attributable to residential real property shall be calculated as if the full actual value of all owner-occupied primary residences that are partially exempt from taxation pursuant to section 3.5 of this article was subject to taxation. All other taxable property shall be valued for assessment at twenty-nine percent of its actual value. However, the valuation for assessment for producing mines, as defined by law, and lands or leaseholds producing oil or gas, as defined by law, shall be a portion of the actual annual or actual average annual production therefrom, based upon the value of the unprocessed material, according to procedures prescribed by law for different types of minerals. Non-producing unpatented mining claims, which are possessory interests in real property by virtue of leases from the United States of America, shall be exempt from property taxation. (b)(II) NOTWITHSTANDING THE REQUIREMENTS OF SUBSECTION (1)(b)(I) OF THIS SECTION, FOR ALL SCHOOL DISTRICT PROPERTY TAX LEVIES IN ANY PROPERTY TAX YEAR COMMENCING ON OR AFTER JANUARY 1, 2019, RESIDENTIAL REAL PROPERTY SHALL BE VALUED FOR ASSESSMENT AT SEVEN PERCENT OF ITS ACTUAL VALUE, AND ALL OTHER TAXABLE PROPERTY SHALL BE VALUED FOR ASSESSMENT AT TWENTY-FOUR PERCENT OF ITS ACTUAL VALUE EXCEPT AS OTHERWISE SET FORTH IN SUBSECTION (1)(b)(I) OF THIS SECTION WITH REGARD TO PRODUCING MINES AND LANDS OR LEASEHOLDS PRODUCING OIL OR GAS. (8) Revenue limits. (a) New or increased transfer tax rates on real property are prohibited. No new state real property tax or local district income tax shall be imposed. Neither an income tax rate increase nor a new state definition of taxable income shall apply before the next tax year. Any income tax law change after July 1, 1992 shall also require all taxable net income to be taxed at one rate, excluding refund tax credits or voter-approved tax credits, with no added tax or surcharge; EXCEPT THAT MULTIPLE RATES MAY APPLY TO TAXABLE NET INCOME OF INDIVIDUALS, TRUSTS, ESTATES, AND CORPORATIONS IF SPECIFIC RATE INCREASES IN EXCESS OF THE TAX RATE IN EFFECT ON THE DAY OF AN ELECTION ARE APPROVED BY VOTERS FOR THE PURPOSE OF PROVIDING AN INCOME TAX INCREMENT DEDICATED TO THE FUNDING OF PRE-PRIMARY THROUGH SECONDARY PUBLIC SCHOOLS. (e) A MORE SUSTAINABLE, FAIR, AND ADEQUATE SYSTEM FOR FINANCING PUBLIC SCHOOLS IS NECESSARY TO ACHIEVE THESE GOALS AND MEET THE NEEDS OF EVERY STUDENT IN THE STATE OF COLORADO TO PREPARE THEM FOR SUCCESS IN CAREER, COLLEGE AND LIFE IN THE 21ST CENTURY. (2) THE PURPOSE OF THIS SECTION IS TO IMPLEMENT SUBSECTION (4.5) OF SECTION 17 OF ARTICLE IX OF THE STATE CONSTITUTION, AS APPROVED BY THE REGISTERED ELECTORS OF THIS STATE AT THE 2018 GENERAL ELECTION. (3) (a) IN STATE FISCAL YEAR 2019-2020, AND EACH FISCAL YEAR THEREAFTER, THE GENERAL ASSEMBLY SHALL ANNUALLY APPROPRIATE, AND LOCAL SCHOOL DISTRICTS MAY ANNUALLY EXPEND, MONEYS FROM THE QUALITY PUBLIC EDUCATION FUND FOR THE PURPOSES STATED IN THIS SUBSECTION (3). (V) TO FUND ALL KINDERGARTEN STUDENTS ENROLLED IN A FULL DAY PROGRAM AT THE LEVEL OF ONE FULL-TIME EQUIVALENT. (c) IT IS THE INTENTION OF THE PEOPLE OF THE STATE OF COLORADO THAT THE GENERAL ASSEMBLY SHALL ENACT AS EXPEDITIOUSLY AS POSSIBLE A NEW PUBLIC SCHOOL FINANCE LAW THAT WILL SUBSTANTIALLY MEET THE FOLLOWING CRITERIA: PROVIDE A BASE PER PUPIL FUNDING LEVEL FOR ALL STUDENTS MOVING TOWARD OR EXCEEDING THE NATIONAL AVERAGE; ALLOCATE FUNDING IN A FAIR AND EQUITABLE MANNER AMONG THE LOCAL SCHOOL DISTRICTS, WITH RECOGNITION OF DIFFERENCES RELATED TO SIZE, GEOGRAPHY, POPULATION DEMOGRAPHICS, AND LOCAL ECONOMIC AND COST FACTORS; ASSURE MORE ADEQUATE FUNDING FOR SPECIALIZED PROGRAMS ADDRESSED TO STUDENTS WITH SPECIAL NEEDS, GIFTED AND TALENTED STUDENTS, STUDENTS LIVING IN POVERTY, ENGLISH LANGUAGE LEARNERS, AND OTHER IDENTIFIABLE GROUPS WHO WOULD BENEFIT FROM SUCH PROGRAMS; MORE ADEQUATELY FUND PROGRAMS TO ADDRESS THE CRITICAL IMPORTANCE OF EARLY CHILDHOOD LEARNING; PROVIDE FOR THE RECRUITMENT AND RETENTION OF QUALITY TEACHERS; AND PROVIDE A MODEL FOR FUNDING THAT WILL BE TRANSPARENT AND EASILY UNDERSTANDABLE BY THE PUBLIC. AT SUCH TIME AS A NEW PUBLIC SCHOOL FINANCE LAW SUBSTANTIALLY MEETING THESE CRITERIA HAS BEEN ENACTED AND HAS TAKEN EFFECT, THE GENERAL ASSEMBLY MAY ANNUALLY APPROPRIATE, AND THE SCHOOL DISTRICTS MAY ANNUALLY EXPEND, MONEYS FROM THE QUALITY PUBLIC EDUCATION FUND FOR THE PURPOSES PROVIDED IN SUCH LAW. (4) MONEYS FROM THE QUALITY PUBLIC EDUCATION FUND SHALL BE APPROPRIATED AND EXPENDED TO SUPPORT PUBLIC SCHOOLS, EXCEPT THAT SUCH MONEYS MAY BE SPENT AS REQUIRED PURSUANT TO AN INDIVIDUALIZED EDUCATION PROGRAM UNDER THE FEDERAL “INDIVIDUALS WITH DISABILITIES EDUCATION ACT OF 2004”, 20 USC §1400, ET SEQ., AS AMENDED, OR SUCCESSOR ACT. (5) MONEYS APPROPRIATED FROM THE QUALITY PUBLIC EDUCATION FUND SHALL BE USED TO SUPPLEMENT, AND NOT SUPPLANT, THE LEVEL OF FISCAL YEAR GENERAL FUND APPROPRIATIONS FOR PUBLIC EDUCATION FUNDING EXISTING ON THE EFFECTIVE DATE OF THIS SUBSECTION, PLUS ANNUAL ADJUSTMENTS FOR INFLATION UP TO A MAXIMUM ANNUAL ADJUSTMENT OF FIVE PERCENT. (6)(a) UPON RECEIVING MONEYS FROM THE QUALITY PUBLIC EDUCATION FUND, AND PURSUANT TO ESTABLISHED DISTRICT REPORTING REQUIREMENTS SET FORTH IN THE “EDUCATION ACCOUNTABILITY ACT OF 2009”, ARTICLE 11 OF TITLE 22, THE FEDERAL “EVERY STUDENT SUCCEEDS ACT”, PUB.L. 114-95, AND REGULATIONS DEVELOPED BY THE COLORADO DEPARTMENT OF EDUCATION PURSUANT TO STATE EDUCATION LAW, EACH DISTRICT SHALL MAKE PUBLICLY AVAILABLE ON ITS WEB SITE ITS MISSION AND VISION AND CURRENT BUDGET, AUDIT, UNIFORM IMPROVEMENT PLAN AND STUDENT ACHIEVEMENT SCORES. (b) WITHIN FIVE YEARS OF IMPLEMENTATION OF THE QUALITY PUBLIC EDUCATION FUND, AND PURSUANT TO A REQUEST FOR PROPOSALS PROCESS WITH COMPETITIVE BIDDING, THE COLORADO DEPARTMENT OF EDUCATION WILL COMMISSION A STUDY TO INVESTIGATE HOW MONEYS FROM THE QUALITY PUBLIC EDUCATION FUND WERE SPENT AND TO DETERMINE THE BEST PRACTICES OF VARIOUS DISTRICTS FROM DIVERSE GEOGRAPHICAL REGIONS IN PROMOTING CONTINUOUS IMPROVEMENT IN STUDENT ACHIEVEMENT. MONEYS FROM THE QUALITY PUBLIC EDUCATION FUND MAY BE USED FOR THIS STUDY. THIS STUDY WILL BE MADE AVAILABLE TO THE PUBLIC AND POSTED ON THE DEPARTMENT OF EDUCATION WEBSITE. (c) WITHIN TEN YEARS AFTER THE IMPLEMENTATION OF A SUCCESSOR TO THE “PUBLIC SCHOOL FINANCE ACT OF 1994”, AND EVERY FIVE YEARS THEREAFTER, THE GENERAL ASSEMBLY SHALL REVIEW IMPLEMENTATION OF THE SUCCESSOR ACT TO ENSURE THAT THE FORMULA SET FORTH IN THE SUCCESSOR ACT ENABLES ALL SCHOOL DISTRICTS TO MEET COLORADO ACADEMIC STANDARDS AND PERFORMANCE FRAMEWORKS. IF THE FORMULA REQUIRES CHANGES TO MEET THESE GOALS IN AN ADEQUATE AND EQUITABLE MANNER, THE GENERAL ASSEMBLY SHALL ADOPT REVISIONS TO THE SCHOOL FINANCE FORMULA. (d) OVER FIVE HUNDRED THOUSAND DOLLARS, AT THE RATE OF THREE AND SIXTY-TWO ONE HUNDREDTHS PERCENT. (I) Except as otherwise provided in section 39-22-627, for income tax years commencing on or after January 1, 2000, four and sixty-three one hundredths percent of the Colorado net income. IN ADDITION TO THE TAX RATE AUTHORIZED IN THIS SUBSECTION (1)(d)(I)(I), FOR ALL TAXABLE YEARS COMMENCING ON OR AFTER JANUARY 1, 2019, AN INCOME TAX INCREMENT FOR PUBLIC SCHOOL FUNDING TO BE DEDICATED TO THE QUALITY PUBLIC EDUCATION FUND CREATED BY SUBSECTION (4.5) OF SECTION 17 OF TITLE IX OF THE STATE CONSTITUTION SHALL BE IMPOSED ON COLORADO NET INCOME AT THE RATE OF ONE AND THIRTY-SEVEN ONE HUNDREDTHS PERCENT. (I) FOR ALL TAXABLE YEARS COMMENCING ON OR AFTER JANUARY 1, 2019, ALL MONEYS DERIVED FROM THE INCOME TAX INCREMENT FOR PUBLIC SCHOOL FUNDING UNDER SECTIONS 39-22-104(1.7) AND 39-22-301(1) C.R.S., SHALL BE CREDITED TO AND DEPOSITED IN THE QUALITY PUBLIC EDUCATION FUND CREATED BY SUBSECTION (4.5) OF SECTION 17 OF ARTICLE IX OF THE STATE CONSTITUTION. NOTWITHSTANDING ANY LIMITATIONS ON REVENUE, SPENDING, OR APPROPRIATIONS CONTAINED IN SECTION 20 OF ARTICLE X OF THE STATE CONSTITUTION OR ANY OTHER PROVISION OF LAW, ALL MONEYS CREDITED TO AND DEPOSITED IN THE QUALITY PUBLIC EDUCATION FUND PURSUANT TO THIS SUBPARAGRAPH AS APPROVED BY THE VOTERS AT THE STATEWIDE ELECTION IN NOVEMBER 2018, MAY BE COLLECTED AND SPENT AS VOTER-APPROVED REVENUE CHANGES AND SHALL NOT REQUIRE SUBSEQUENT VOTER APPROVAL. (II) ALL REMAINING FUNDS SHALL BE CREDITED to the general fund, and the general assembly shall make appropriations therefrom for the expenses of the administration of this article. Please join Superintendent Brian Ewert at an upcoming community information night to learn more about the proposed Littleton Public Schools Bond Issue 4A. For dates and times, visit the LPS Newsroom. View highlights from Brian Ewert's presentation. The Long Range Planning Committee has worked through several potential bond package scenarios as it seeks to find the solution that best meets the district’s goal: “One hundred percent of LPS students will graduate prepared for meaningful post-secondary opportunities.” The Committee’s goal was to ensure that the recommended bond package scenario will positively impact every student in the district; begin the process of replacing aging facilities with state-of-the-art schools that will serve students and community for future generations; and encouraging efficiencies in programming space, transportation and infrastructure. One of the major points the committee examined was the ability to construct a new building on site during school. Another major focus was the ability to keep communities together when looking at building a new elementary school. How Do Flexible Furniture Classrooms Impact Learning in LPS? 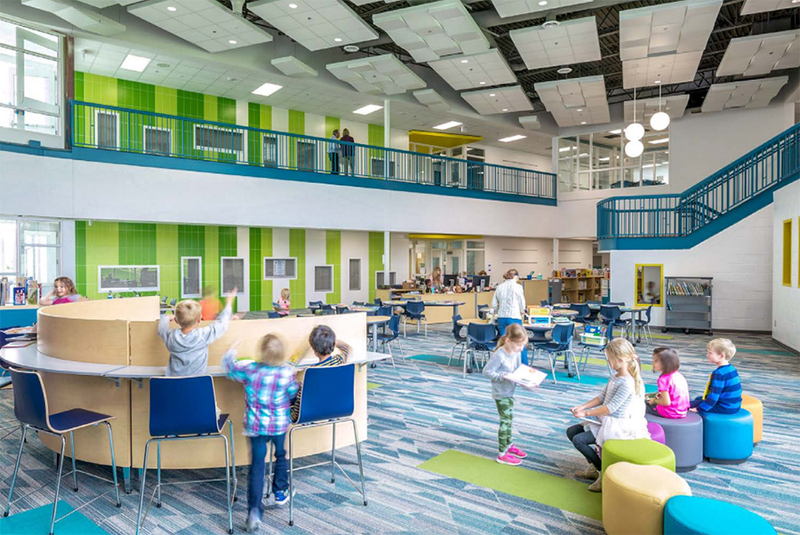 What do today's new elementary and middle schools look like? 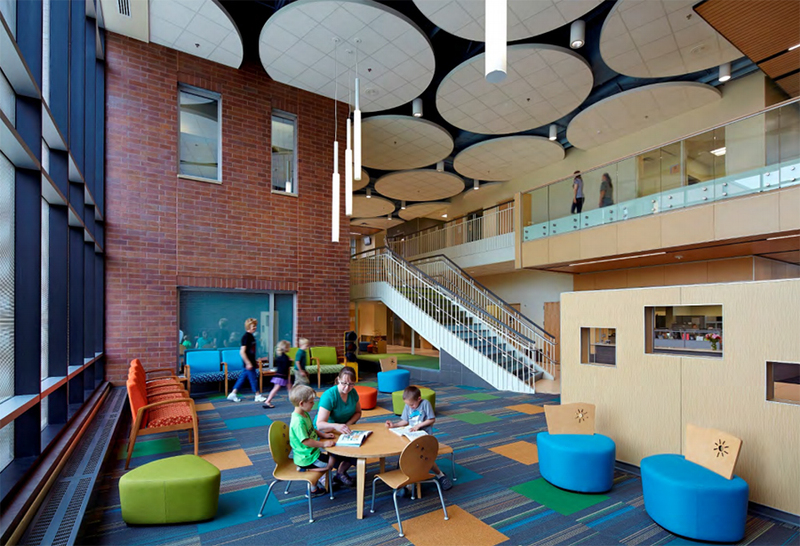 Here are some examples of newly built elementary and middle schools. Passage of a $298 million bond in LPS would cost homeowners $29-$49 annually for every $100,000 of residential actual value. For example, a home with residential actual value of $400,000 would see a property tax increase of $116-$196 annually. At the August 23, 2018 meeting, the LPS Board of Education passed a resolution in support of statewide ballot initiative Amendment 73-Great Schools Thriving Communities, which will be on the November 2018 ballot across Colorado. Amendment 73 asks Colorado voters to pass a ballot initiative to raise an additional $1.6 billion annual revenue for Colorado public schools, bringing them closer to the national average in school funding. Passage of Amendment 73 would mean an additional $23.1 million annually in LPS, which would help fund priorities related to early childhood education, adequate school staffing, career and technical education programming, security and mental health supports and additional academic interventions. additional early childhood educational opportunities.